Happy Mother’s Day to all of the mothers out there, including my own! Hi, Mom! Although we appreciate our mothers all year long, it’s nice to focus on them entirely for one day and show our love with festive brunches, thoughtful gifts, and sweet notes written in cards. Today, I’ll be cooking brunch for my family at my parents’ home to take some work and pressure off my mother. I’m making some spiralized dishes, so follow along on Instagram and Snapchat for some inspiration! 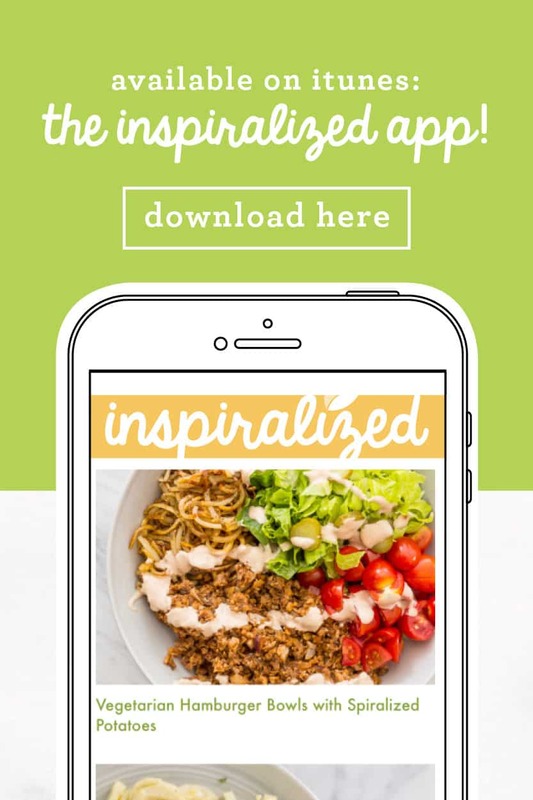 My mother is actually a part of Inspiralized – did you know that? She is the Chief Financial Officer for the Inspiralizer side of my business. She handles orders, financing, budgeting, and inventory! 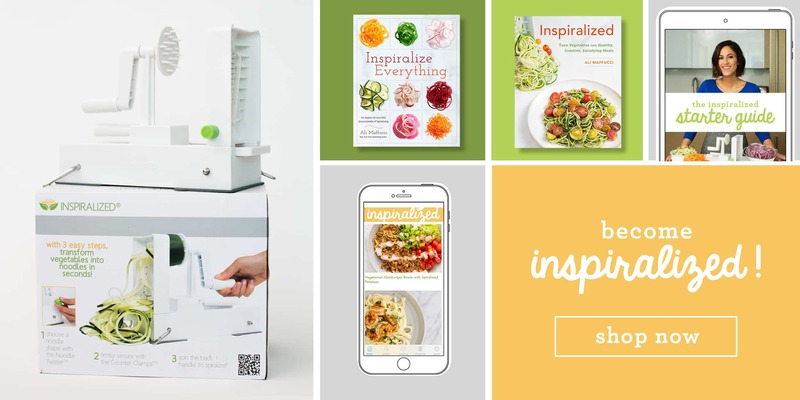 I couldn’t sell the Inspiralizer without her and I’m so grateful for her every day. She works hard and deserves a break today! 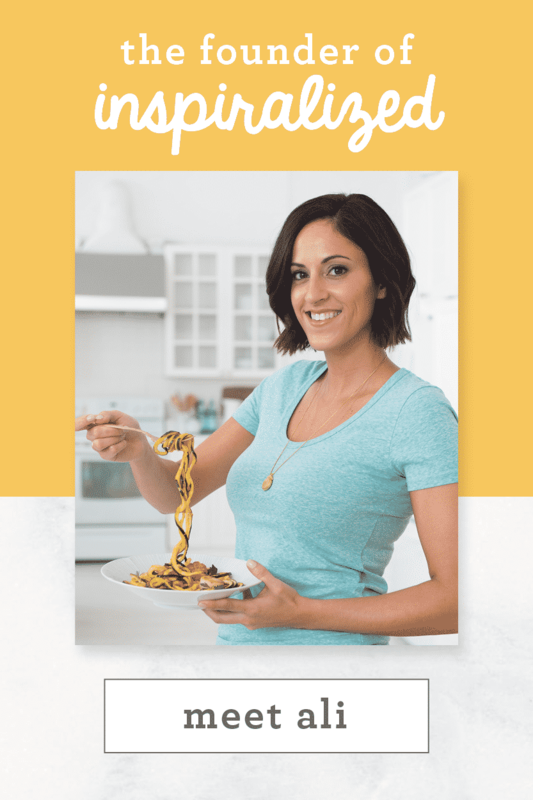 This recipe is an easy weeknight pasta that comes together within 30 minutes and can easily feed a crowd! First, the rutabaga noodles are easily roasted on a sheet pan with simple seasonings. They have such a rich, buttery taste – without the butter, of course! Meanwhile, the salmon is cooked in this Organic Marinara Sauce by Victoria Fine Foods that I added red pepper flakes to for a bit of spice, which complements the salmon and savory rutabaga. 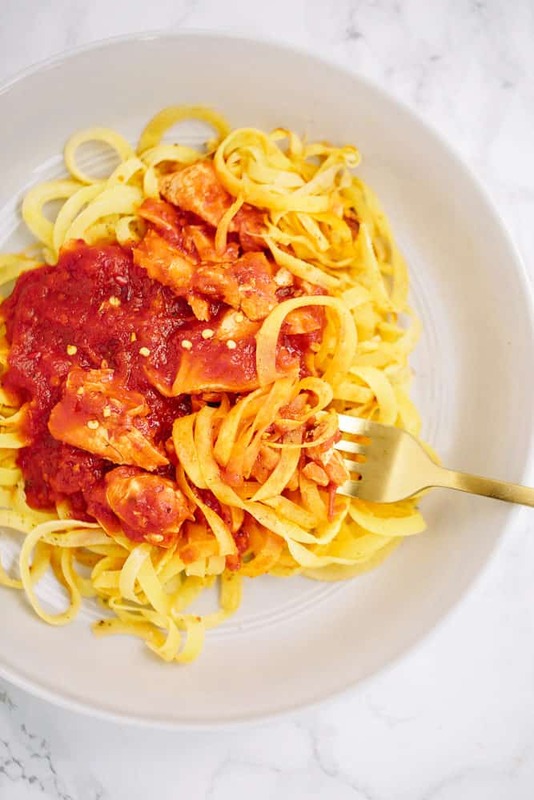 This marinara sauce has such a gentle tomato taste and works softly with the salmon as it cooks and flakes apart in the skillet. I’m in love with this method of cooking salmon – it’s SO easy, quick and hassle free. Once the salmon is cooked and flaked, the sauce is ready to top over the rutabaga pasta. 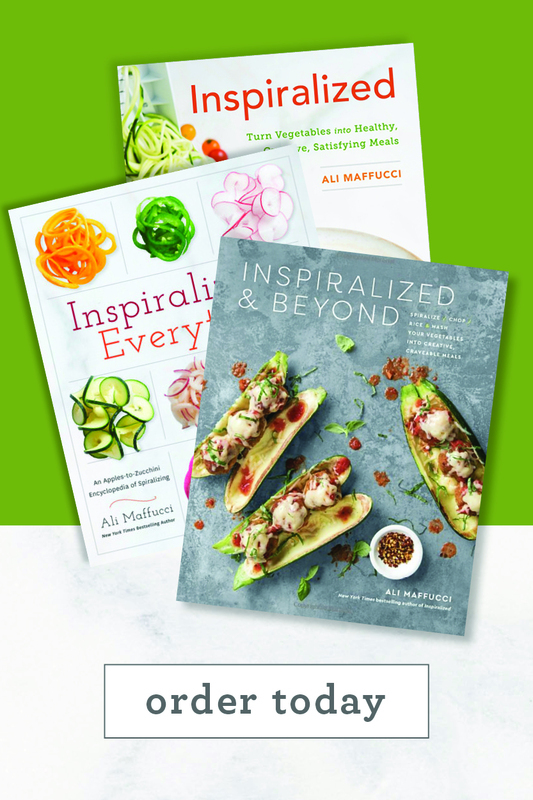 Along with Victoria Fine Foods, we invite you to create a recipe inspired by your Mother with an #Inspiralized twist! 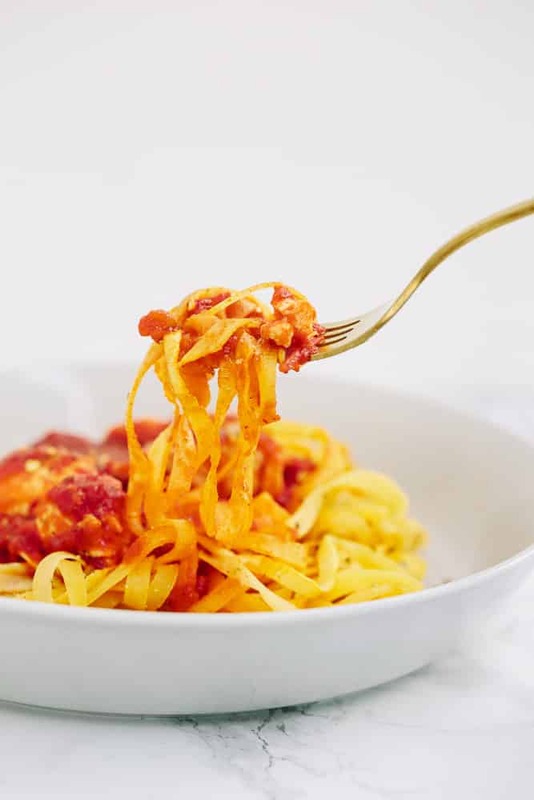 Perhaps it’s a penne pasta with tomato sauce that she used to make for you after school or a primavera pasta she’d make for the family every spring. 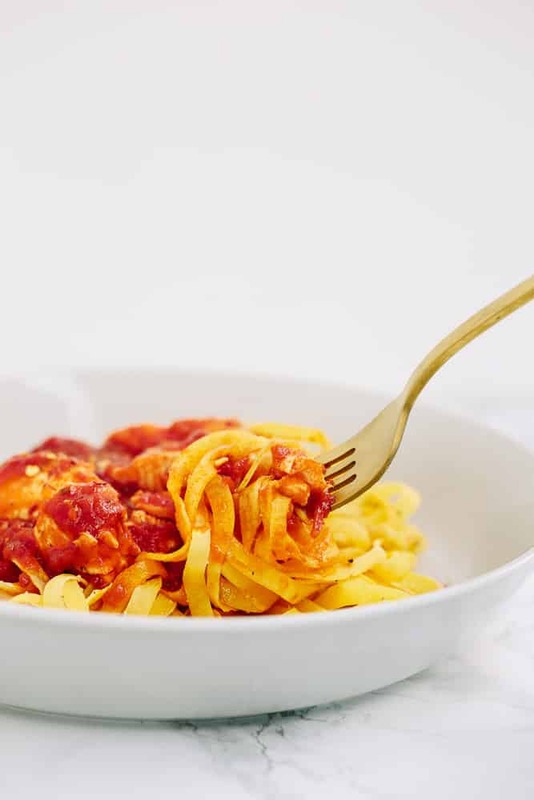 Whatever it may be – Inspiralize it, using a Victoria Fine Foods pasta sauce! 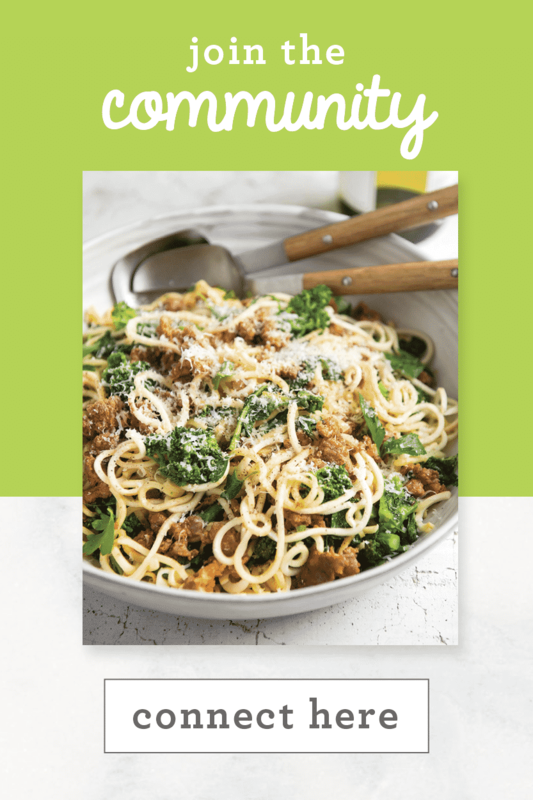 To enter, all you need to do is submit a photo of the recipe on Twitter, Facebook or Instagram (make sure you have a public account so we can see!) with a very brief description and use the hasthag #MakeoverMomsRecipe, tagging @victoriafinefoods and @inspiralized. A winner will be chosen at random on June 5, 2016 by Victoria Fine Foods. 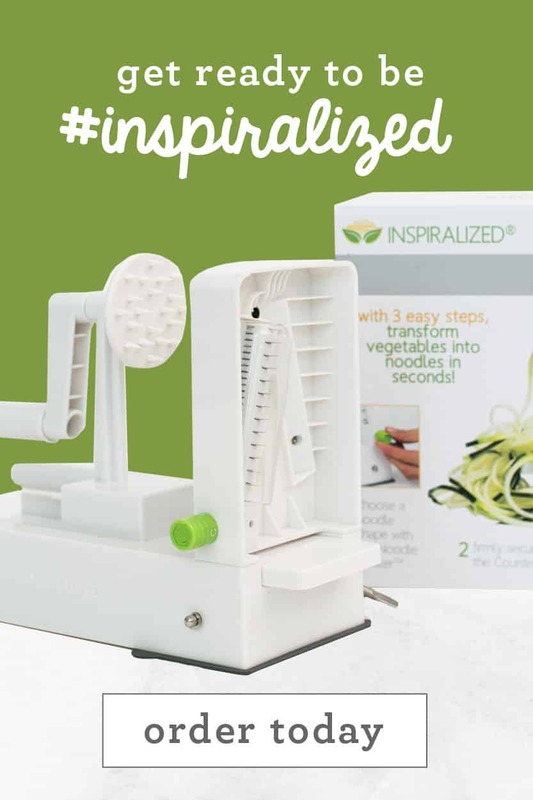 The winner will win an Inspiralizer and a case of their Premium Marinara Sauce! This is only open to US residents at least 18 years of age. Click here for full details! So, put a reminder in your phone, make your dish and post it up on social for your chance to win! Note: This post was sponsored by Victoria Fine Foods. However, all opinions are my own, always. Preheat the oven to 425 degrees F. Spread out the rutabaga noodles on a non-stick baking sheet and drizzle with the olive oil and season with salt, pepper and garlic powder. Toss together to combine thoroughly and roast the rutabaga for 12-15 minutes or until cooked through, but still al dente. Heat the marinara sauce and red pepper flakes in a medium skillet over medium-high heat. Season the salmon with salt and pepper. Bring the sauce to a solid simmer and then add in salmon, spooning some of the marinara sauce on top. Cover and cook, uncovering to break up the salmon with a spatula as it cooks, about 10-15 minutes. Once rutabaga and salmon are done, divide the rutabaga into bowls and top with salmon sauce. Garnish with extra red pepper flakes if you really love spice! Victoria Fine Food Contest - Hi Ali, I tried to go to the page where you mentioned " click here for full details" on contest, and it tells me error, page cannot be found. Can you look into. Thank you. I got that too. It can wait until after Mother's Day :) enjoy the day Ali! It's amazing that you and your mother get to work together! Happy Mother's Day, and I hope you enjoy a lot of yummy recipes and happy memories together! Love this recipe but I cannot get a rutabaga to spiralize! Should I cook it a little first? I watched your video but I cannot get it to work well. I ended up ricing it tonight. 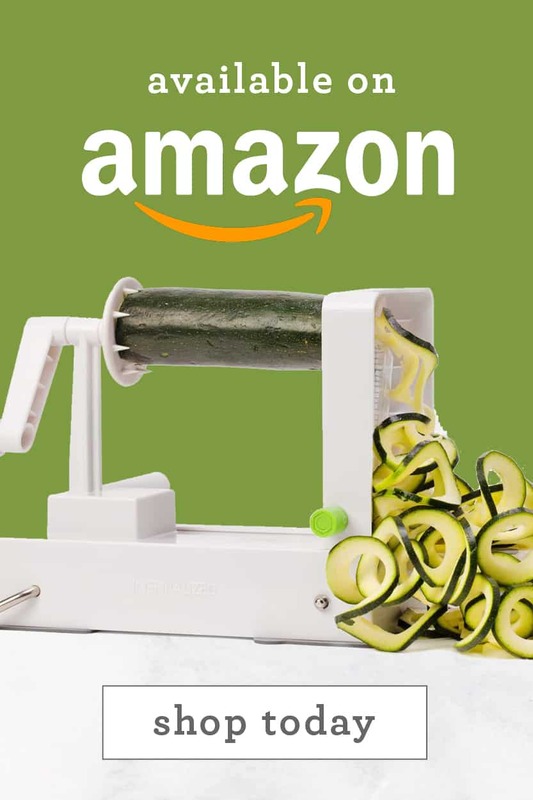 But would prefer to spiralize. Hi! After another attempt at trying to spiralize a rutabaga, I'm still having difficulties. 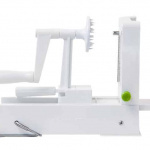 I also tried watching a video where you spiralized a rutabaga as a reference, made sure I bought a fresh one today, and still can't get it to work very well. I ended up having to cut it in half. Not the prettiest result, unfortunately. Is there any advice you would possibly have? Thanks so much! Hi! I'm in the middle of the recipe, so I'll wing it, but how much garlic powder do you recommend? 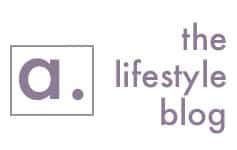 We just recommend using as much as you enjoy! A dash or two should do. Thanks Meaghan :) I think I went with 1/4 tsp and it was great. Side note - next time I’ll use smoked salmon.